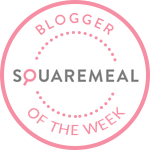 Emily's Recipes and Reviews | UK Food Blog | Leicestershire : afternoon tea at the courtyard, ashby de la zouch, leicestershire. 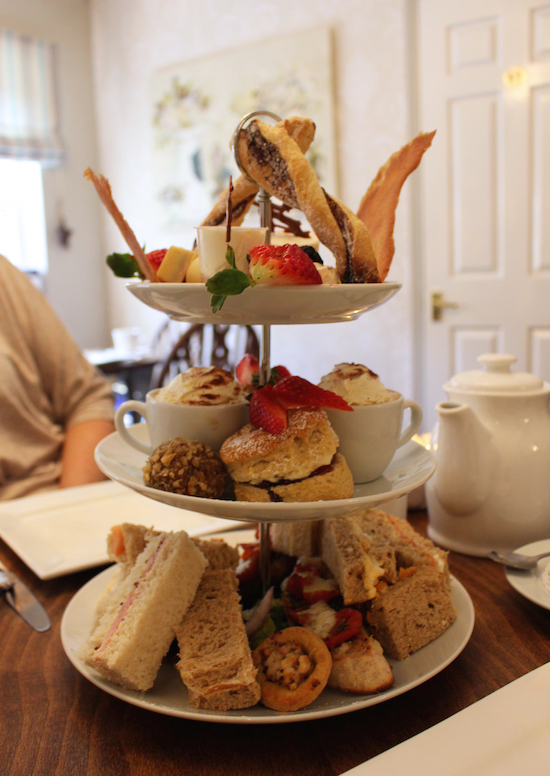 afternoon tea at the courtyard, ashby de la zouch, leicestershire. 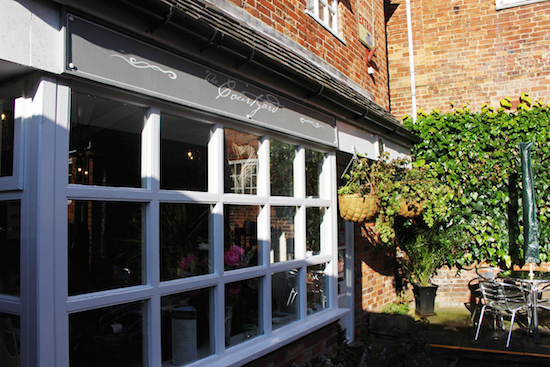 Set back off the welcoming Market Street of Ashby-de-la-Zouch, you'll find The Courtyard. Vintage Brooke Bond, Lipton's and Lyon's Tea signs adorn the old brickwork of the Leicestershire establishment. Locals might notice there's been a new lick of paint on the outside, with friendly new management on the inside too. 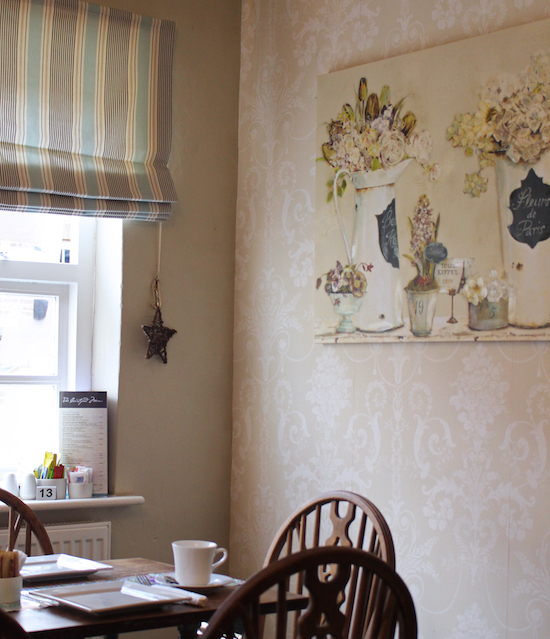 The quaint tearoom serves up freshly cooked breakfast, lunch and cakes, with afternoon tea to book in advance. The theme of old meets new continues through to the interior, with vintage style furniture and damask wallpaper mixed with a shabby chic feel and wicker ornaments. Transformed from its days of dark, red walls, The Courtyard has now be brightened up with white and cream touches, along with elegant chandeliers and candles at every table. It's hard to believe it's the same place, and it's lovely that it still has the same Ashby charm. We'd booked in for the afternoon tea, which is great value at £24 for two. This features an array of sandwiches and savoury treats, ever-changing homemade cakes, handmade chocolates and of course classic scones with strawberry jam and clotted cream. But first, mum and I almost ordered a pot of Earl Grey in unison. As you can see it was quite the spectacle! Piled up sandwiches, savouries, truffles, mousses, meringues and pastries embellished the three tier cake stand. For £12 each this was really quite impressive, and we couldn't wait to get stuck in. Of course in true afternoon tea tradition we went first for the sandwiches. These were a mix of egg mayonnaise, salmon and cream cheese and ham and mustard, with vegetarian options available when you book. We began with the bruschetta, which was not the most traditional part on the savoury menu but probably one of the best. Gorgeous sun dried tomatoes, pesto and mozzarella - just something a little different. Plus, the slight saltiness made you crave something sweet. The sandwiches were a little rustic but had the softest bread, so you could tell the sandwiches had been made super fresh. The mini tart was so adorable too - but not too cute to gobble up! 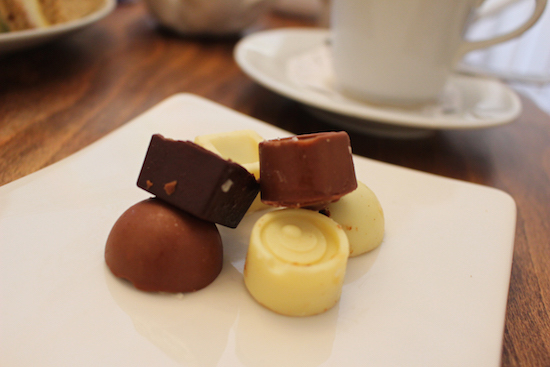 Like the sweet offerings, these change weekly and are made by the owners on site. 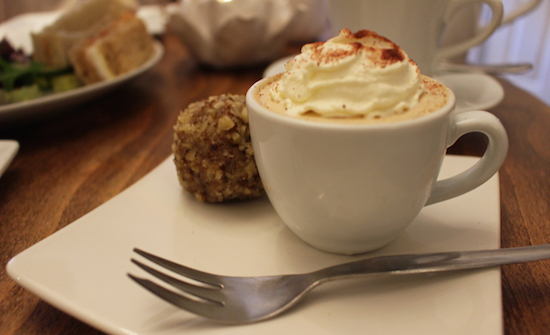 Just as well we were craving sweetness as we had a lot to come... First up was an smooth coffee mousse cleverly made to look like a tiny cappuccino. Alongside was a peanut butter truffle - very indulgent and delicious. Then of course it was time for a scone and a classic jam and cream picture. Although I'd usually prefer my scones without sultanas, these were very buttery and crumbly. We were struggling for room by this point, but ploughed on in use afternoon tea style. I tried a little of the top row, especially enjoying the Amaretto cheesecake shot. We chatted to the staff about other cakes they'd had an ideas for the future, mentioned something lemon would be nice to make a change from the chocolate (even though I love chocolate). She said they had a lemon posset shot the week before - which sounded dreamy! Overall The Courtyard is a lovely little gem of a place, especially for lovers of afternoon tea, shabby chic and the vintage look. The place has a homespun, family-run atmosphere with sandwiches made to order and fresh cakes baked with a charming, homemade feel. 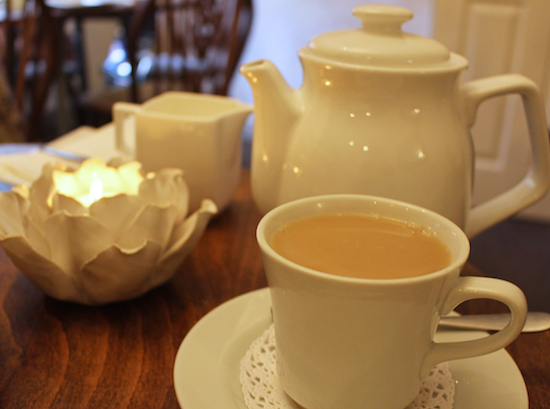 A really delightful tea room - and an afternoon well spent for £24. I've heard their breakfast is good too - so I'll be back! Have you be to The Courtyard? 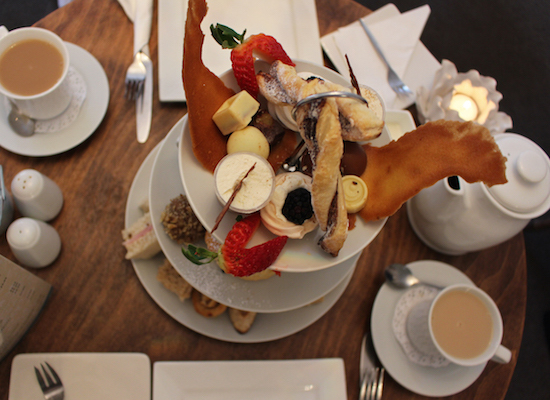 Or perhaps had afternoon tea in or near Ashby de la Zouch? I was invited as a guest of The Courtyard, all opinions and words my own. I was not expected to write a positive review or otherwise. 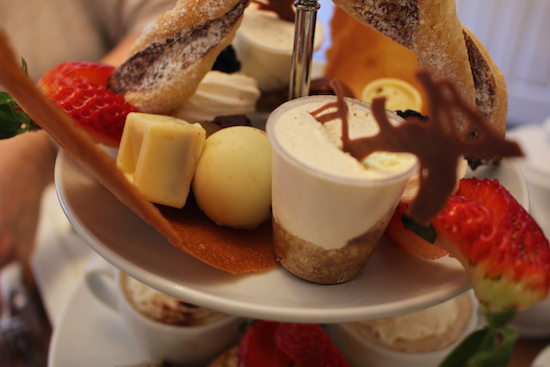 What is it about Afternoon Tea? It's just fabulous and what a lovely location. £24 is a great price too. 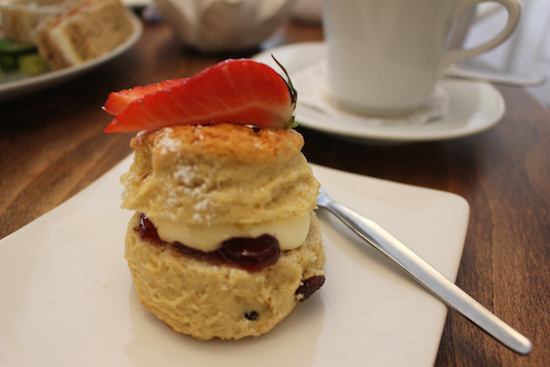 Wow what an amazing scone. Hi Mark. This is a review of the afternoon tea and not the website or contact form. To book a table, check out their Facebook page (https://www.facebook.com/Thecourtyardashby/) details or ring 01530 417610. Enjoy!